Tonight's tournament featured two six player swiss sections. 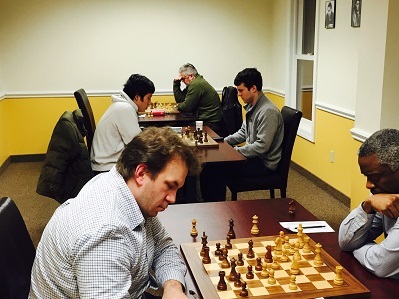 Our top section resulted in a 3-Way tie between NM Ian Harris, Eric Zhang, & Daniel Cooper all with a 2/3 score. 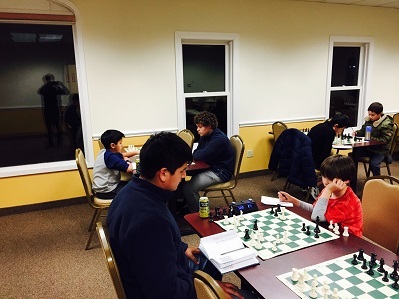 The bottom section was won by Adriel Alvarado with a perfect 3/3 score gaining over 120 rating points. Hope to see you all next week for more Friday Night Action!